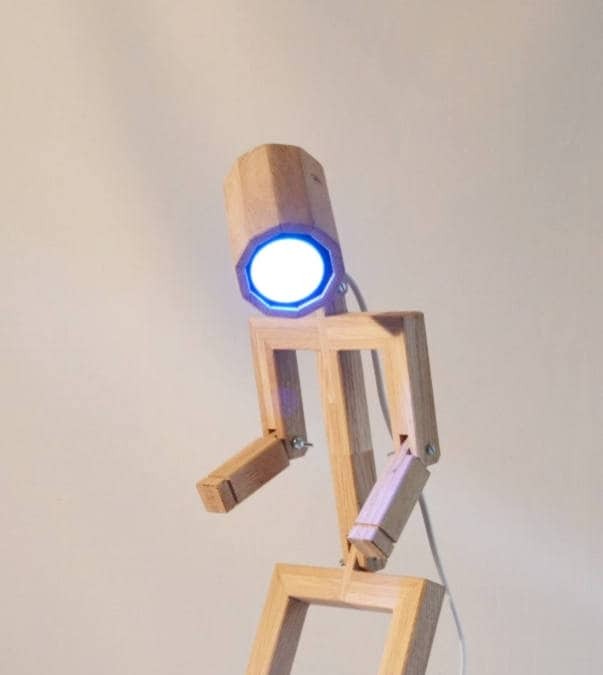 Original wooden lamp in the shape of a human. 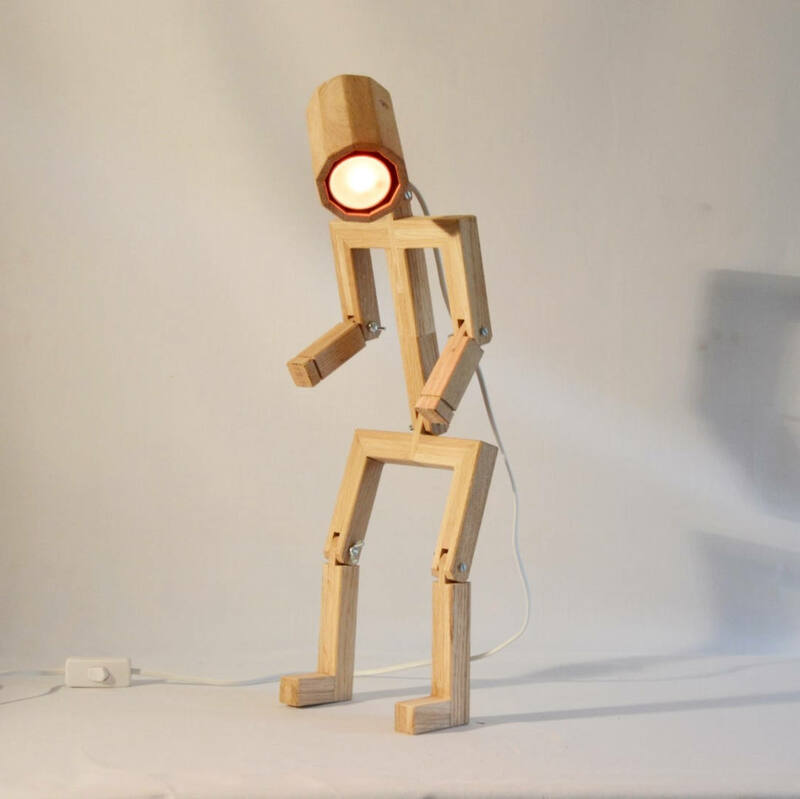 The lamp is articulated. The character can thus have several positions. 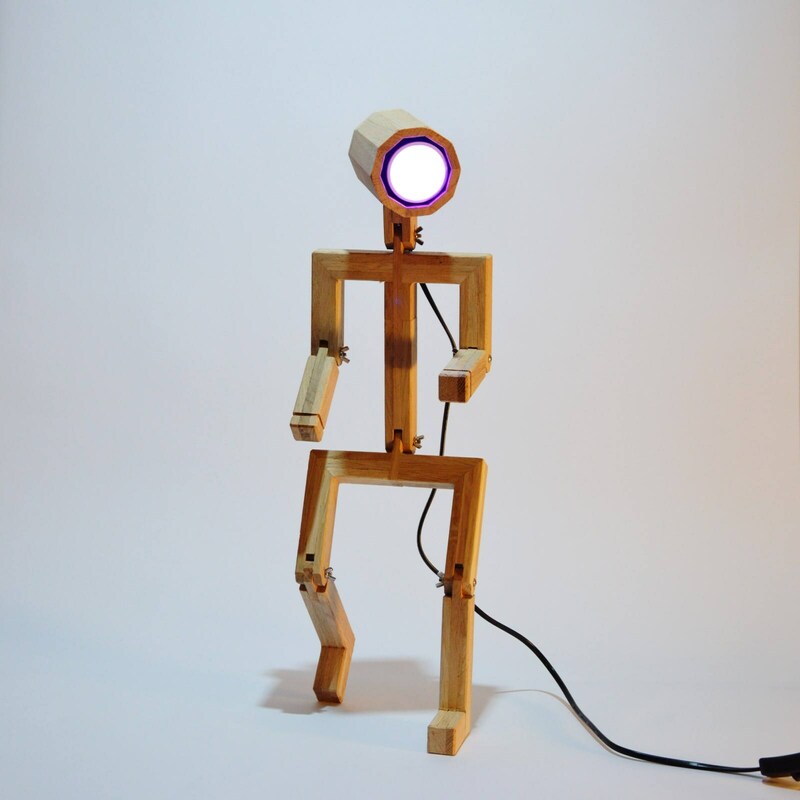 With spot LED color and remote control. 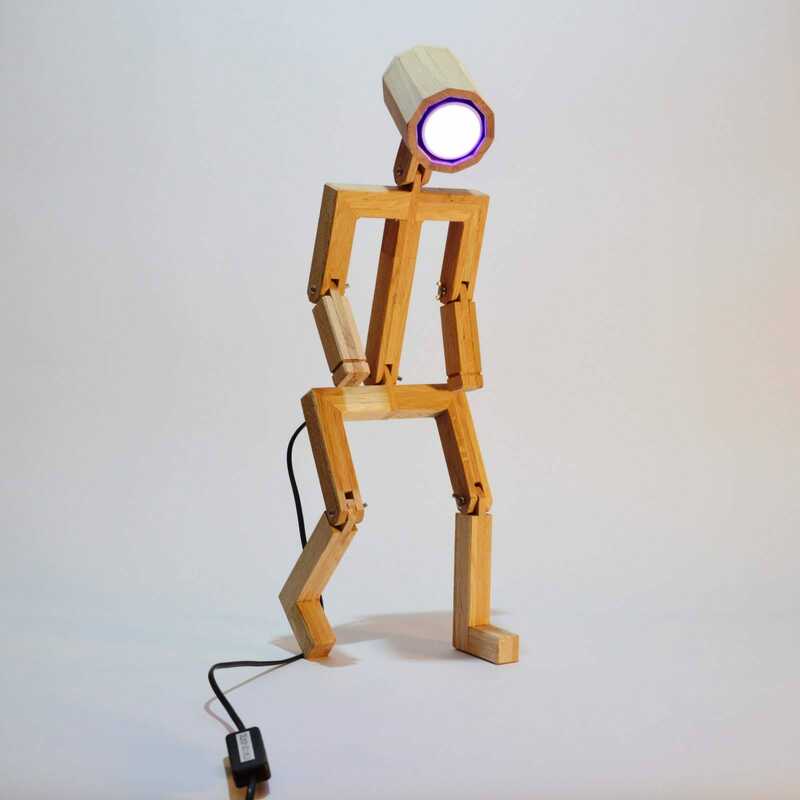 Made with recycled oak wood. Each design is unique and the dimensions / finishes may vary slightly depending on the order.